I was just sitting here not feeling so well tonight, grumbling to myself about all of the things that I need to be doing, but just don't feel like doing tonight. The Lord just so happens to have a way though of stopping me in my grumbling tracks. He immediately put my sweet friend Joanne on my mind. As most of you know, on January 11th, Joanne (from The Simple Wife) suffered a massive stroke in her home. The fact that Joanne is still with us and doing as well as she is doing is a miracle from God alone. It's even more of a miracle to ponder the fact that Joanne is actually able do things like Twitter or Facebook on her iPad. God is no less than amazing....He is GOD...He is a healer...He is Joanne's healer. I had just been reminded of her this morning when I saw her cute little bag lying on my bathroom counter. Joanne pays so much attention to detail, as you can see in the picture of the little "zippy purse" she made for me. Joanne especially takes great time and detail in the way she expresses her love of her Lord, Jesus Christ. You could never read a post and not know exactly how Joanne felt about her Lord. You also could not read a post without hearing the wonderful details of her day and how she relishes in each little thing...even if she didn't feel good or if she didn't have the most wonderful day, she always had a way of finding SOMETHING that was special about it....that may have been a fuzzy pair of PJ's at the end of the day, but she found it nonetheless. 1 For this reason I, Paul, the prisoner of Christ Jesus for you Gentiles— 2 if indeed you have heard of the dispensation of the grace of God which was given to me for you, 3 how that by revelation He made known to me the mystery (as I have briefly written already, 4 by which, when you read, you may understand my knowledge in the mystery of Christ), 5which in other ages was not made known to the sons of men, as it has now been revealed by the Spirit to His holy apostles and prophets: 6 that the Gentiles should be fellow heirs, of the same body, and partakers of His promise in Christ through the gospel, 7 of which I became a minister according to the gift of the grace of God given to me by the effective working of His power. I think about Joanne and how she ministers according to the grace that God has given her...working His effective power. These verses just spoke to me and challenge me to persevere, even in my grumbling state. So, I will leave you with these verses....and by all means, the rest of the chapter. I pray that you will find Memory Monday as a great encouragement that I do. I pray that you'll join us next week with your own Memory Monday post. We would certainly love to have you, so my all means, please stop by! Technology is amazing and what an opportunity to join with other hearts to life up this sweet sister and her precious family! Wow. It's 2011...where did the last 20 years go? is it me or is time just flying by at warp speed? To those reading this right now, thank you for being a faithful reader of this blog. I will keep this post short since we have to head out the door shortly. But, I wanted to let everyone know that MUCH has been going on and I have LOTS to fill you in on since my last post. There has been so much to happen (good and bad, but all for God's glory). Stick with me...and I'll try and catch you all up to speed over the next couple of weeks. The hiatus from the blog has been good, but OH I HAVE MISSED IT! If you don't do anything else the rest of the day, I would ask that you do one thing. 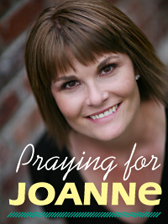 Please pray for my sweet friend, Joanne Heim from The Simple Wife. Many of you may know her and already know the happenings of the last few days. Joanne suffered a massive stroke a few days ago and is in very serious condition. I cannot begin to tell you how Joanne's life has impacted my life in the last few years, so right now, I beg of you...PRAY for her in earnest! The details of the last few days have been chronicled by her precious husband, Toben, on her blog. 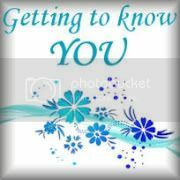 You can click the hyperlink above if you would like to visit her blog. I can't thank you enough for the prayers on her behalf...and I'm sure Toben and her sweet girls are even more appreciative.